The case of Hebron's head shot has deeply divided Israeli society for 11 months. The indulgent 18-month jail sentence for homicide issued Tuesday by a military court in Tel Aviv threatens to enlarge that rift. Soldier Elor Azaria, who had reached the rank of sergeant at the age of 19 during his mandatory military service, fired point-blank on March 24, 2016 at a Palestinian attacker who lay badly wounded in Hebron, south of the occupied West Bank territory. 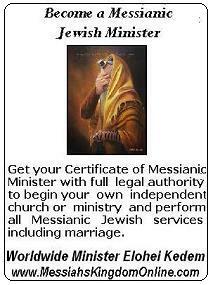 Israel since 1967. Ten minutes before his arrival, Abdelfat al-Sharif, 21, had stabbed with an Israeli soldier another Israeli soldier who suffered minor chest wounds. Both attackers were shot dead by the garrison at the Jiber checkpoint, on the access road to the Tel Rumeida settler settlement. Sharif was badly injured, his companion died on the spot. After a lengthy court-martial held at a Jaffa barracks in southern Tel Aviv, Azaria was convicted in January of manslaughter, a crime that could be punished by up to 20 years in prison. The military prosecution finally asked for three to five years in prison. The court has limited the sentence to 18 months of internment in a military prison, in addition to degrading the soldier. Detention time - a kind of house arrest in units of the Army - during the process will not be discounted. His lawyers had announced that they would appeal the sentence or request pardon for the soldier of the chief of staff and the president of Israel, who can commute the sentence successively. In a precedent recorded in 2003, an Israeli soldier was sentenced to eight years' imprisonment for causing the death of a pro-Palestinian British activist. 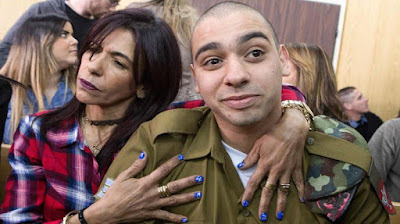 During the reading of the ruling, which took place at the headquarters of the Armed Forces in Tel Aviv, the president of the court, Colonel Maya Heller, reminded Azaria that she had changed her version of the facts at least five times during the hearing And that he had not shown repentance. "It was attributed the role of judge and executioner," said the military magistrate. The soldier claimed to have acted under combat zone stress and in self-defense because the Palestinian Al Sharif was still breathing and moving, and still had within reach the knife with which he had attacked the guard at the checkpoint. He also claimed in his defense that he feared that the attacker would hide a vest loaded with explosives under his clothes and blow it up. The prosecution reminded him during the trial that in his first statement to his superiors, shortly after he fired a shotgun with his assault rifle at the wounded and immobilized Palestinian, he implied that he had acted for revenge. "[This Palestinian] deserves to die," he said aloud to other soldiers at the Jiber barrier in Hebron, according to the summary. The soldier did not know yet that the facts had been collected in a video recorded by a Palestinian activist who collaborates with the Israeli pacifist NGO B'Tselem, who was responsible for spreading it and circulated in a viral way by social networks on a global scale. The commanders of the Armed Forces announced that "violation of rules of engagement without justification" would merit being severely punished. The nationalist and conservative sectors of Israeli society reacted, however, against the thesis of exemplary punishment for the replacement soldier, who, like most Israeli men and women over the age of 18, must perform compulsory military service Of up to almost three years. The social division that the case of Hebron's head shot has aroused in the Hebrew State was revealed in surveys that reflected that half of the citizens were against both the arrest of Azaria and a prison sentence. The relatives of the soldier, Jews of American origin who emigrated to Israel from France, mobilized in protest to large sections of the population who identified with their suffering - widely exhibited throughout the process in the media - because they also have To their children in the ranks of the Army. During the trial, there were demonstrations in favor of Azaria, "the boy of all", and there were even clashes with the police in front of the seat of the court. Netanyahu came to express his support in a Twitter message. "This is a difficult and painful day - first and foremost for Elor, his family, the soldiers of Israel, many citizens and the parents of soldiers, among them I ... Support granting forgiveness to Elor Azaria," wrote the first Israeli minister. "This case has been exceptional, because Israel does not usually prosecute its soldiers, even if there is clear evidence. But the minimum sentence, which reflects the widespread impunity of the security forces, has not been, "said Hasan Yabarin, director of Adalah, a legal NGO of the Arab minority in Israel. "It is a judgment that belittles the value of the life of the Palestinians," he concluded. Tarik Richmaui, a spokesman for the Palestinian Authority, said the "slight penalty imposed was tantamount to giving green light" to new cases of "military crimes". El caso del tiro en la cabeza de Hebrón ha dividido profundamente a la sociedad israelí desde hace 11 meses. La indulgente sentencia de 18 meses de cárcel por homicidio dictada este martes por un tribunal militar en Tel Aviv amenaza con agrandar esa grieta. El soldado Elor Azaria, que había alcanzado a los 19 años el grado de sargento sanitario durante su servicio militar obligatorio, disparó a bocajarro el 24 de marzo de 2016 a un atacante palestino que yacía malherido en Hebrón, al sur del territorio de Cisjordania ocupado por Israel desde 1967. Diez minutos antes de su llegada, Abdelfatá al Sharif, de 21 años, había apuñalado junto con otro joven palestino a un soldado israelí que sufrió heridas leves en el pecho. Ambos agresores fueron abatidos a tiros por la guarnición del puesto de control de Jiber, en el camino de acceso al asentamiento de colonos de Tel Rumeida. Sharif quedó malherido, su acompañante falleció en el acto. Tras un largo consejo de guerra celebrado en un cuartel de Jaffa, en la parte sur de Tel Aviv, Azaria fue declarado culpable en enero de homicidio, un delito que puede ser castigado con hasta 20 años de cárcel. La fiscalía castrense solicitó finalmente que se le impusieran entre tres y cinco años de prisión. El tribunal ha limitado la sentencia a 18 meses de internamiento en un penal militar, además de degradarle a soldado raso. El tiempo de detención —una especie de arresto domiciliario en dependencias del Ejército— durante el proceso no le será descontado. Sus abogados habían anunciado que iban a recurrir la sentencia o a solicitar el perdón para el soldado del jefe del Estado Mayor y del presidente de Israel, que pueden conmutarle sucesivamente la condena. En un precedente registrado en 2003, un soldado israelí fue condenado a ocho años de privación de libertad por haber causado la muerte a un activista británico propalestino. Durante la lectura del fallo, que se desarrolló en el cuartel general de las Fuerzas Armadas en Tel Aviv, la presidenta del tribunal, la coronel Maya Heller, le recordó a Azaria que había cambiado su versión de los hechos al menos cinco veces durante la vista y que no había mostrado arrepentimiento. “Se atribuyó el papel de juez y verdugo”, afirmó la magistrada militar. El soldado declaró haber actuado bajo estrés de zona de combate y en defensa propia porque el palestino Al Sharif aún respiraba y se movía, y tenía todavía a su alcance el cuchillo con el que había agredido al vigilante del puesto de control. También alegó en su descargo que temía que el atacante ocultase un chaleco cargado de explosivos bajo sus ropas y lo hiciese estallar. La fiscalía le recordó durante el juicio que en su primera declaración ante sus superiores, poco después de que le dispara un tiro con su fusil de asalto al palestino malherido e inmovilizado, dio a entender que había actuado por venganza. “[Este palestino] merece morir”, dijo en en voz alta ante otros soldados que se encontraban en la barrera de Jiber en Hebrón, según consta en el sumario. El soldado no sabía aún que los hechos se habían recogido en un vídeo grabado por un activista palestino que colabora con la ONG pacifista israelí B´Tselem, que se encargó de difundirlo y que circuló de forma viral por las redes sociales a escala global. Los mandos de las Fuerzas Armadas anunciaron entonces que “la violación de las reglas de enfrentamiento sin justificación” mercería ser severamente castigada. Los sectores nacionalistas y conservadores de la sociedad israelí reaccionaron, sin embargo, en contra de la tesis del castigo ejemplar para el soldado de reemplazo, que como la mayor parte de los hombres y mujeres de Israel mayores de 18 años debe cumplir un servicio militar obligatorio de hasta casi tres años de duración. La división social que el caso del tiro en la cabeza de Hebrón ha suscitado en el Estado Hebreo quedó patente en encuestas que reflejaban que la mitad de los ciudadanos estaban en contra tanto del arresto de Azaria como de que se le impusiera una condena de cárcel. Los familiares del soldado, judíos de origen norteamericano que emigraron a Israel desde Francia, movilizaron en actos de protesta a amplios sectores de la población que se identificaban con su sufrimiento —ampliamente exhibido a lo largo del proceso en los medios de comunicación— porque también tienen a sus hijos en las filas del Ejército. Durante el juicio, hubo manifestaciones en favor de Azaria, "el chico de todos", e incluso se registraron enfrentamientos con la policía frente a la sede del tribunal. Netanyahu llegó a manifestar su apoyo en un mensaje de Twitter. "Este es un día difícil y doloroso —primero y sobre todo para Elor, su familia, los soldados de Israel, muchos ciudadanos y los padres de soldados, entre ellos yo... Apoyo otorgar el perdón a Elor Azaria", escribió el primer ministro israelí. “Este caso ha sido excepcional, porque Israel no suele encausar a sus soldados, aunque haya pruebas claras. Pero la sentencia mínima, que refleja la amplia impunidad de las fuerzas de seguridad, no lo ha sido”, aseguró Hasan Yabarin, director de Adalah, ONG jurídica de la minoría árabe en Israel. “Es un fallo que menosprecia el valor de la vida de los palestinos”, concluyó. Tarik Richmaui, portavoz de la Autoridad Palestina, dijo a su vez que la “leve pena impuesta equivalía a dar luz verde” a nuevos casos de “crímenes militares”.